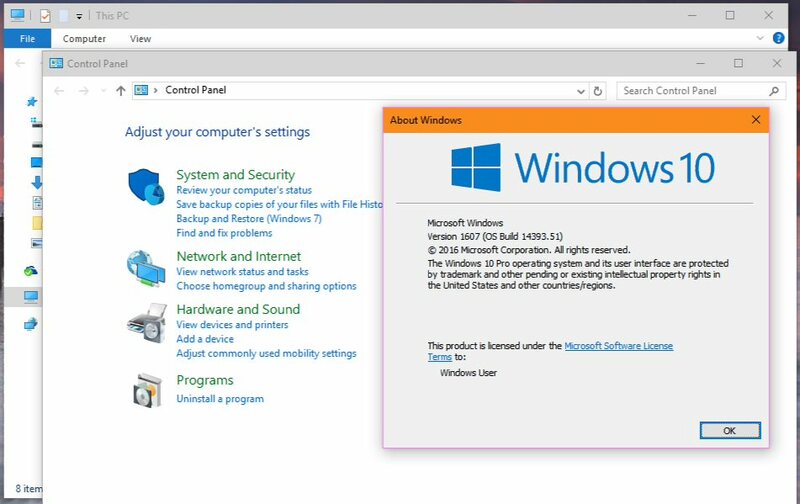 Microsoft had released Windows 10 last year with white color title bars. After feedback’s from users, the company brought back color title bar in Windows. You can select your favorite color by going to Settings> Personalization> Colors options. Now with Windows 10 anniversary update Microsoft introduced new dark theme mode. Dark mode and color titlebars are a nice addition to Windows 10, but what about inactive title bars. Inactive title bars in Windows 10 still features same flat white color, which looks odd and boring. There is still no option to change background window title bar color. Here is the nice little trick to make your background inactive title bars colorful. First of all, you need to press Windows key+ S and type Regedit and hit enter. Finally, double-click AccentColorInactive and add a color code or Hex value to it. Pick hex value from here. 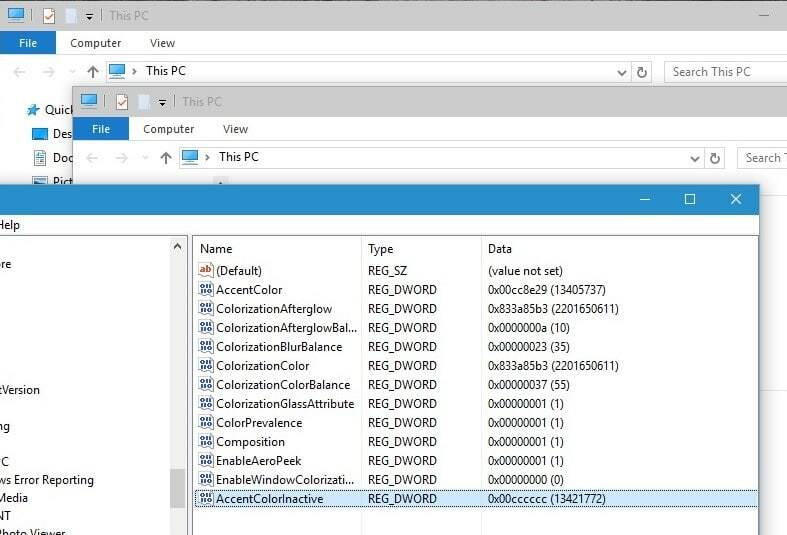 Colors will be applied to inactive windows right away. You can apply any color you want. You can reverse back all changes by simply deleting AccentColorInactive.